'Cascade is a culmination of a 3 year engineering effort to bring our signature sound to a headphone. 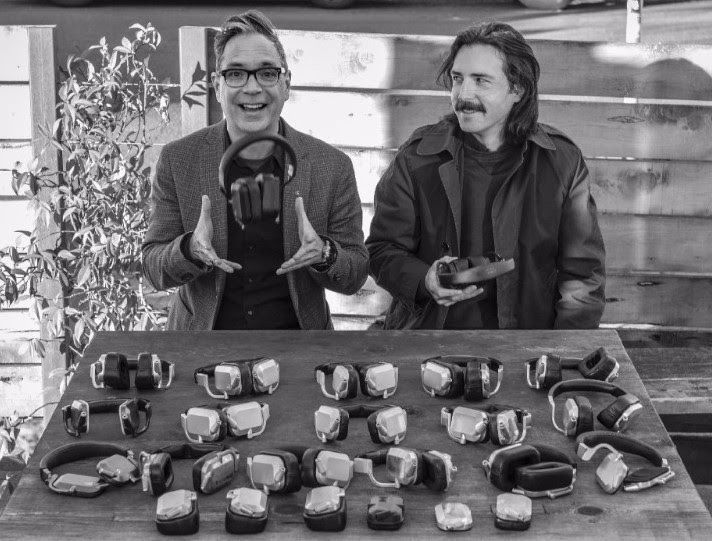 I knew from various show photos and word of mouth that Campfire Audio was working on a headphone. I wondered what it would be like. 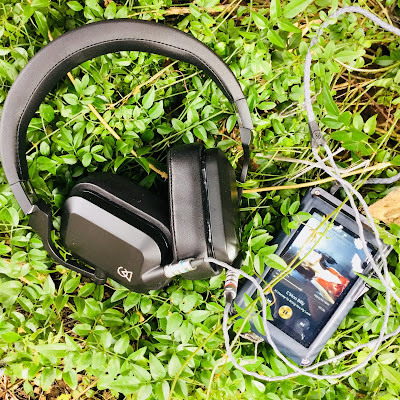 Campfire Audio having sprung from the loins of its older sibling ALO Audio and whilst they possess oodles of experience with cables, amps and nowadays in ear monitors (IEMs) this was going to be a first. Being an unashamed Campfire audio fan I had faith, but also I had doubts. This was after all their first foray into the headphone market. Of course I knew they would approach the project with the skill, expertise and experience of past endeavors, but it is a first after all. Campfire Audio Cascade with stock cables and iBasso DX200 (Amp 1). A beautiful box. My photo doesn't really do it justice. Warranty, user guides and a set of four Filters to tune the Cascade to your liking. The pads are removable and are so securely fixed by magnets I didn't even notice during the initial photo shoot. No matter how much I twisted and turned they stayed attached easily. Push/pull connectors for easy entry and release. The stock cable is free and easy in its movements. Caleb of Campfire Audio showing the easy fit of the Cascade. Over the top of my head from ear to ear is approximately 28-29cm, our heads often being more oval in shape, well mine anyway. I delicately pasted a picture of T.Hanks on top of my ugly mug to give an idea of fit. For me the fit is quite comfortable and my dainty pixie ears fit inside quite comfortably. The pads take a short amount of time to break in, soften and loosen up to better fit the contours of the head, offer a decent seal and place the ears slightly closer to the drivers. I am able to wear for quite a considerable amount of time with no discomfort like a yogi. My head being smaller than some I reluctantly bent the head band slightly to get a better seal on the pads and a tighter grip on the sides of my head. Sheep Leather Detachable Headphone Pads. 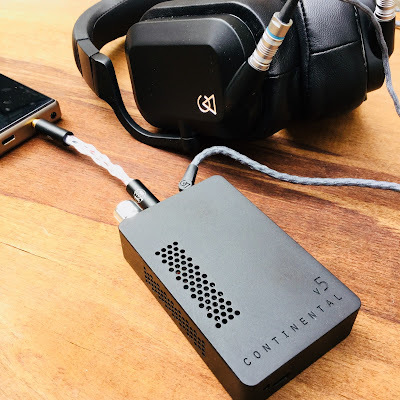 Campfire Audio is at present working on offering a larger head band option. 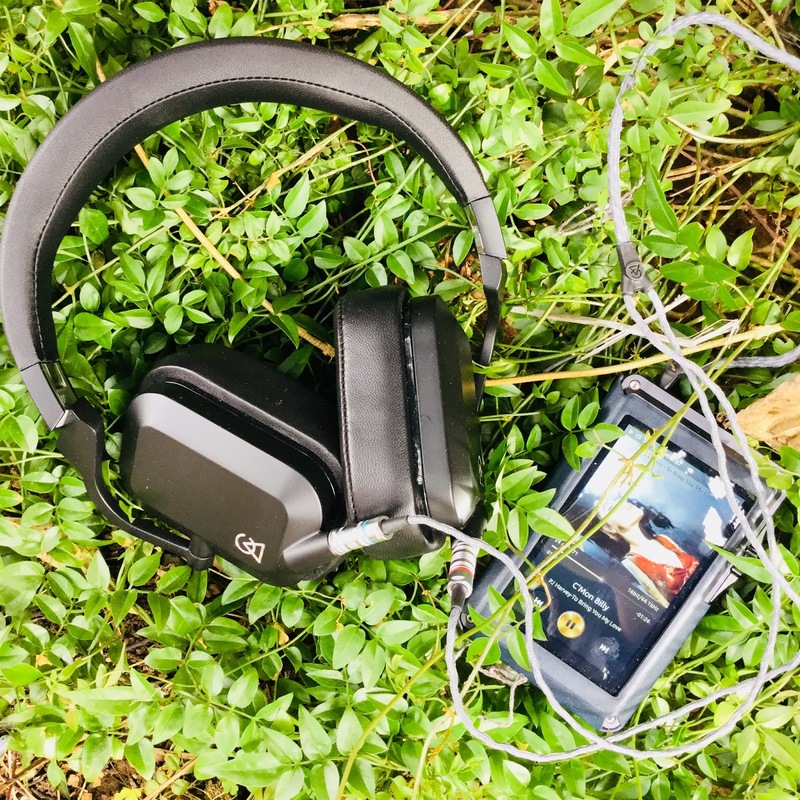 'Designed with portable use in mind, Cascade is a durable headphone for use at home and on the go. The more you listen, the more you’ll find you’ll want to keep it with you, where ever that might be. 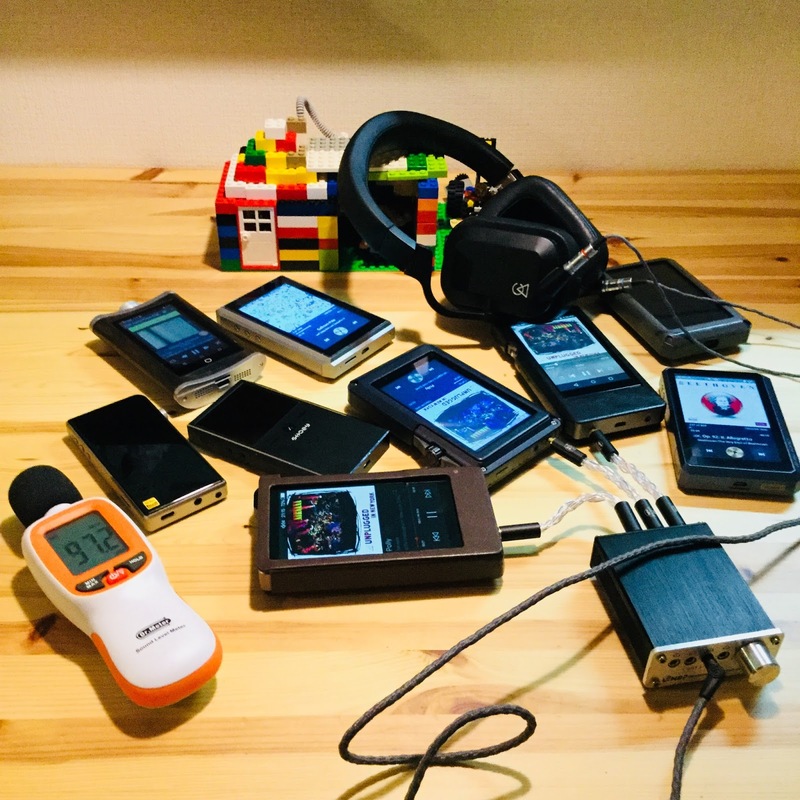 The listening was mainly done with the iBasso DX200 using amp 1 and the stock cable to maintain some sort of continuity during the break in/burn in process. Standard Flac 16/44 on shuffle mode was generally employed. Volume 95/105 on high gain or 105/115 on low gain (approx). Stock pads with no filters used. 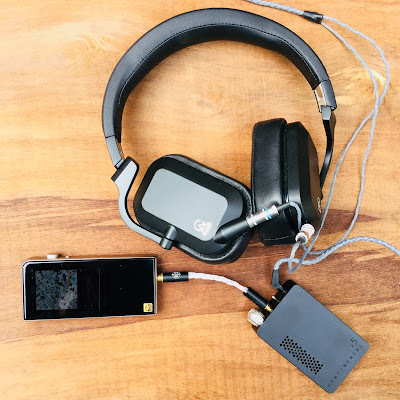 Campfire Audio Cascade and ALO Audio SXC 8 upgrade cable to iBasso DX200 (amp 4). Early impressions from zero hours up to the 150 hour mark. Here are some of my basic findings from intermittently picking up and listening to the Cascade whilst I leave it to get the recommended hours (150-200 hours). Saturday morning: Still a few rough edges but not as prevalent as the first listen. The ear pads also need breaking in for a decent seal. Overall the Cascade has tightened up considerably. Bass is faster and tamed. Sound stage is more noticeably expansive and instruments well placed. Even though the pads haven't been properly broken in the fit is better. After about 200+ hours the bass suddenly drastically tamed (more so than at 150 hours), and was less boomy than earlier, more controlled and the decay was much faster. Still ample enough bass, but not the defining feature as at first listen. Refined. The next day: Using the stock cable I found the above findings to be accurate, although the upgrade cable has various benefits in resolution, detail and imaging I was able to perceive easily the jump from 150 to 225+ hours had certainly refined the Cascade. Over 400 hours now (OMG, what a jump). I feel I have failed you my dear readers. I did intermittently pick them up and listen but the weekend interrupted the proceedings and my fastidious note taking. What I noticed was that the refinement continued although not as drastically as from the 0 - 200 hours mark. There was another The significant part is the speed, everything has sped up considerably overall. bass is quick and responsive, the deep, low slow rumblings pre 150 hours has been replaced by an entirely different creature. At this point I had to plug in my general reference spot IEM the Campfire Andromeda and recheck my imaginings. More bright in the top end, and those mmm mids. Back to the Campfire Audio Cascade. definitely that sub bass is pumping, upper bass is strong and fast but not over aggressive. Vocals are nicely matched to the recording of the track and not artificially forward nor recessed. They seem to have achieved a decent balance. Sound stage is satisfying wide. Imaging and instrument placement is excellent, I find myself stopping writing and listening to the music and wondering did I just hear that or not. Listening to The Clash 'Radio clash' where the sounds are coming from all directions is a cacophony of satisfaction. Lets carry on, but with random shuffle to get rid of any control of choosing tracks and have the unexpected and see what happens..
Joy Division 'Novelty' even sounds well mastered. Those drums thumping along that they employ so well, the emotion of Ian Curtis voice communicating itself with depth and feeling. Lana Del Rey 'Cherry' makes my head vibrate with its sub bass at times, the vibration of the bass contrasts starkly with the control of the vocals, so smooth. Lou Reed 'Perfect day' is a pleasant track in its presentation, dark in its vocal undercurrent of meaning. The track has a lower bass at is foundation with the strings floating above it all and just under the vocals. Soaring. Stirring. The Pixies 'Caribou`, 'Dead'. The Pixies generally a good test for any dap or earphone with their quiet/loud, fast/ slow style. lana Del Rey 'Pretty when you cry' is detailed and subtle, restrained in the way that the track presents itself, the Cascade staying congruent to the intended style. Deep music with contrasting lush and clear vocals. The Smiths 'Last night I dreamt that somebody loved me' - I forget which earphone or dap I reviewed when this track came on and so moved me. The piano and roaring crowd at the beginning giving me goosebumps then the track bursting through. Imaging and separation excellent. Sound stage wide and with clarity. David Bowie 'The prettiest star' has fantastic clarity and detail, resolution is near perfect. more tame in the lows but with far reaching highs that extent without any sibilance. Throwing Muses 'Bright yellow gun' is a driving track that is heavy with upper bass and lower mids. but the cascade handles them well, keeping a bit of space in what can often be a congested track. The Fugees 'Killing me softly' The bass thumps along, vocals as usual are soaring and excellent. fast. The Velvet underground 'There she goes again' well as many know the early VU wasn't recorded so well, but who cares, its the Velvet underground! Norah Jones 'The long day is over'. Good old Norah, a staple of audio show daps. I like her though. The usual lush and meandering journey of mids and vocals is suitable smooth and refreshing. The Beatles 'Eleanor Rigby' (stereo) comes across superbly. Recorded more for a home system probably as was the main method of listening at the time still translates across to a set of earphones nicely, with the vocals going from right to left and centering. Lovely seperation. The Chemical Brothers 'Let forever be' made me turn down the volume a wee bit from before. Massive Attack 'Saturday come slow' it seems some sort of synchronicity is attracting bass full tracks to my current shuffle rotation. Mazzy Star 'I've gotta stop' careens along as Mazzy Star does so well. rambling along in a blissful state. the cascade retains the dreamy atmosphere and presents a large sound stage. Nina Simone 'Gimme some' is light and the instruments separation is well done, although the recording of the instruments positioning isn't great. Vocals clear and realistic. Mud Flow 'The sense of me' is a recent recording and really showcases what the cascade can do well. Full heart beating bass, soaring emotive vocals, strings individually plucked. Natalie Merchant 'Seven deadly sins' has prominent, clear vocals. Great strings. Tricky 'Pumpkin' is heavy in the lower reaches. The female vocals still reach above it all. Dire Straits 'Brothers in arms` is well reproduced through the Cascade. Excellent. Compared the cascade to the CA Nova, no comparison, Cascade trumps. Discharge 'Free speech for the dumb' ooh, something messy. Handles the extremes well. Hole 'Softer, softest' has nice tight and fast bass, gliding guitars. The width, depth and height of these headphones is amazing. Vega time. the Vega seems lighter with more space, more treble extensions and less mids. The Cascade is more closer to linear at times with more bass and mids. Fuller sound, larger sound stage. Rammstein 'Du hast' is accurate. Loses nothing. very engaging. Radiohead 'Thinking about you'. Light, fresh. Jangling guitars, vocals crisp and correct. Norah Jones 'Nightingale' I won't skip this as I have for a few doubled artists. Norah Jones is great for pin pointing some finer points of presentation for daps and ear/headphones. Bass, vocals/mids, treble or Bass, vocals/treble, mids. I am still deciding in which order they are most dominant. can on occasion be track dependent or it could be my bad ears. The defining feature of the Cascade is certainly the bass, whilst not overly domineering of the whole signature is is certainly noticeable even after significant burn in. The highs dont disappoint, and whilst imaging is excellent there is certain evenness overall that drifts the earphone towards a linear area, even though it is not that. Confused yet? The mids are present but not like say in an ATH-ESW9, the highs bass are there but not like an ATH-ES10 where it is fatiguing and uneven in its approach. A soft v? A tick mark? If you like a strong fast, controlled bass, clear, concise and realistic vocals, enough treble to please but without losing that small concert venue intimacy, and with a touch of mids to give it body without veering into lush or muddy territory you will enjoy the Cascade. Slightly linear, a tad reference but with enough bass to dispel those notions yet never departing too far from the original intention of the artists recording. I listened to the CA Cascade with a few daps. Stock cable, no added filters. 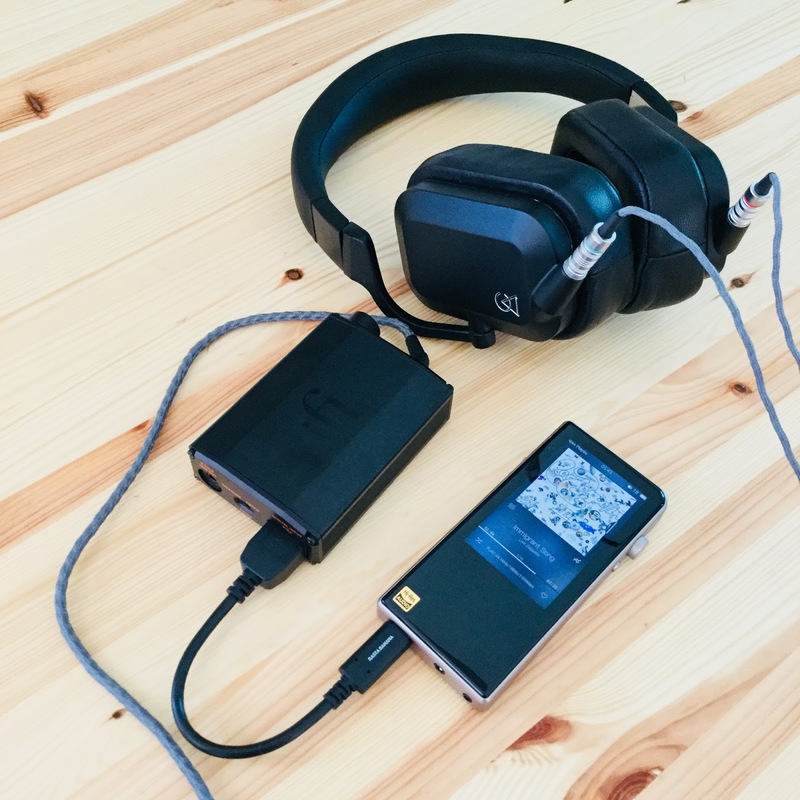 FiiO X7ii: Smooth, upper bass, light, fairly even, medium sound stage. Opus#2: Nice low end, more mids present. Slightly forward vocals, expansive. iBasso DX200 (amp1): More definition, lots of space, excellent separation, good balance. *I will have to try some other iBasso DX200 amps with the Cascade. Echobox Explorer (UAPP app): Fast, more brighter, lots of space, even. Detailed. Mids a bit more noticeable. Bass where it counts. Opus#3: Clear, clarity. Bright. spacious. Light. Defined. Nice low end. Tight bass thump. Nice separation. Shanling M3S: Fairly linear, natural. Great depth and width. Accurate. *Echobox Explorer and Opus#3 had some similar traits. Opus#1: Medium sound stage, fairly linear, more mids. Slower upper bass. Opus#1S: More forward, energetic, more depth and space. Nice sound stage. Upper end sparkle. Shozy Alien+ (short delay sharp roll off filter): Lively, deep, good separation and imaging. Good sound stage. Deep bass. (Short delay slow roll off filter) similar to Opus#1S. Summary. Whilst all the daps are fairly reference by todays standards. The output impedance being from under 1 ohm OI to 2 ohm OI: Opus single ended out (recalling daps OI from memory) results in slightly less bass at 2 ohm OI and more definition at 1 ohm OI. There are slight but noticeable differences in general signature and overall performance (detailing, timbre, imaging, layering, sound stage etc) but these are largely incremental,..but noticeable. I was less focussed on the Daps performance and more delving into the headphones themselves. This was more to confirm things in my head, pointless in some ways considering the similarity of daps these days. wrks better with BAs rather than DDs or headphones. oh well. For science! To infinity and beyond! The Campfire Audio Cascade has an extremely uncolored mids, its easy to think of V shaped, U/u/v etc, or even W as the vocals come into play. Careful and concentrated listening will reveal what is fairly obvious anyway to most general listeners...that the Cascade most certainly has 'dat bass', but after settling in it is quite controlled, fast and definite, mids are perfectly present, not lush or over emphasized but tuned in the background like a sub woofer for a home system. There, but not in your face, reasonably uncolored. The vocals are smooth and beautiful, Highs reach out, but no too far. In a way its a Vega/Dorado cross over with a touch of Andromeda - but being a headphone there is just so much more. I don`t have any appropriate similar headphones to compare with the Cascade, but nevertheless, onwards and upwards. price points are all lower. Campfire Audio Cascade: Deep, full, full bass and lower mids. Vocals well matched to the music. Treble isnt lacking but isnt the defining feature. Audio Technica ATH-ESW11: Nice and smooth, a bit thin. great highs and mids. More body and sound stage than the ESW9. bass is ok, a bit light. vocals forward. (I used to love these when I bought them- I might sell them now #sadface). Audio Technica ATH-ESW9: Tame with nice mids and highs. (My first big headphone purchase. since refurbished and used by my son). I have the ATH-A900 upstairs but will pass on them. Campfire Audio Cascade: See above. Smooth, coherent, imaging and timbre is excellent. handles volume well. fast defined bass, treble is present but understated. Superb layering. Meze 99 Neo: Quite beautiful. Great definition, slow lingering deep bass, some mids, more treble than the Cascade. Vocals forward. Controlled. Brighter than the Cascade. Meze 99 Classics: A bit darker and warmer than the Neo. can be congested. Highs can be sharp. In terms of Performance the Cascade was the clear winner in this uneven comparison. Filter 1T: Evens out a little bit. Slight tweak. Sweet at times. Filter 2T: Mids coming up now, treble much more noticeable. A sense of space. Filter 3T: Sound is a bit fuller now, the mids coming into play. Treble not over bearing. Bass not absent but still quite active. Lots of 'body'. Filter 4T: Prominent mids and treble. Bass relaxed in to the background. The filters certainly change the frequencies, experimentation with the filters can be a bit time consuming but rewarding as one can discover a particular signature suited to their tastes and one that has synergy with their source and music tastes. This is similar to the iBasso DX200 and FiiO X7ii swappable amp systems. A great idea by Campfire Audio. I am undecided on my particular favorite. perhaps 2T or 4T with the stock cable. Which caused me to go back and forth multiple times checking and rechecking until I read it correctly the next day. SMH. I will eventually be using the Campfire Audio Cascade with the upgrade cable, so I will wait and see how that results with no filter first. Filter 1T: Surround and slightly holographic. Defined. Layered. Lightness. Filter 2T: Clear with lots of space. Mids quite present. Strong bass. Filter 3T: Deep. More bass. Mids more prominent. Treble not as active. Filter 4T: Fuller, more intimate. Warm. Slight high extension. Mids take front seat. Forward at times. 1T would be my personal choice of Filter with the SXC-8 cable. As I noted earlier the pads are removable and are so securely fixed by magnets I didn't even notice during the initial photo shoot. No matter how much I twisted and turned they stayed attached easily. ALO Audio SXC 8 cable. A great match, the Continental V5 seems a lovely match. the added power and the gorgeous definition with an overlay of lushness brings the Cascade magically to life. The Campfire Audio Cascade seems to pair fairly friendly with many devices. The Campfire Audio Cascade retails for US$799 from Campfire Audio or approved distributors. 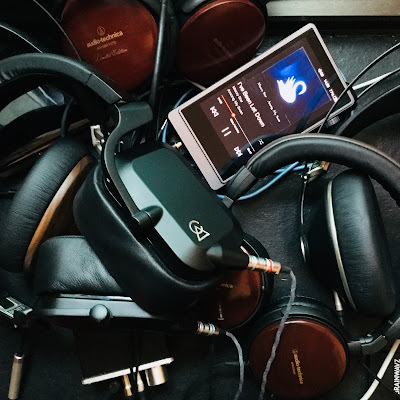 The Campfire Audio Cascade headphone is a tour de force. A success within a crowded market. I was very curious as to how their first foray into headphones would result in design and sound. To my eyes and ears it is a thing of beauty. With an array of 4 (+1) filter settings to craft the sound to ones liking the Cascade is quite versitile. If using the stock cable I would most certainly employ them as my sonic tastes are fairly specific. 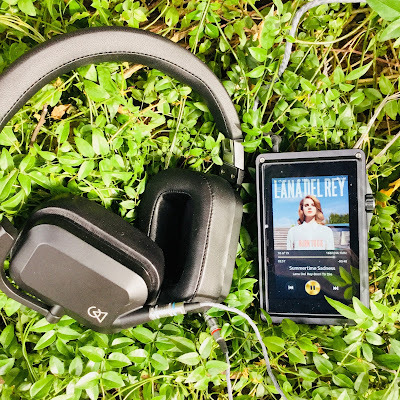 The suggested upgrade cable ALO Audio SXC-8 seemingly improves all aspects of an already high performing headphone. It truly is like a piece of jewelry. So shiny. Fairly weighty, yet also supple and barely a hint of micro phonics. yet also the supplied cable when combined with the filters is no slouch either. 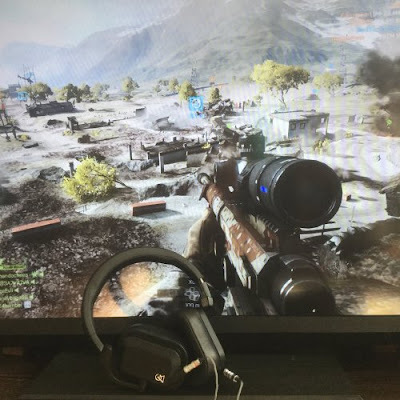 Also I have read that HD800 cables are compatible. The Cascade need many hours to open up. I recommend 150 hours +. set em and forget em for a few days...If you can. I find the Cascade a comfortable fit of my average sized head and pixie ears. At one stage I listened for over four hours at one stage whilst reviewing with no discomfort. It is a solid and well built headphone, but surprisingly light despite its looks.